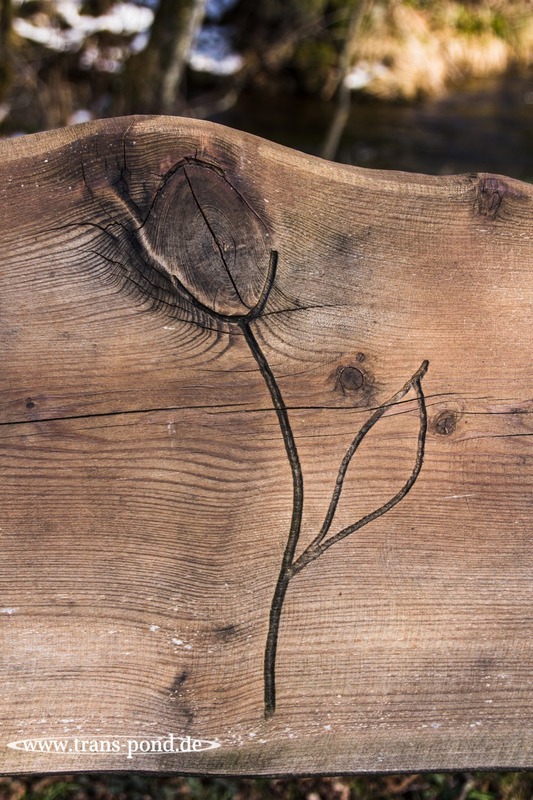 This is the back of a bench at La Couffe in Belgium. Very nice way to make use of the natural structure of the wood. There were several benches like this.